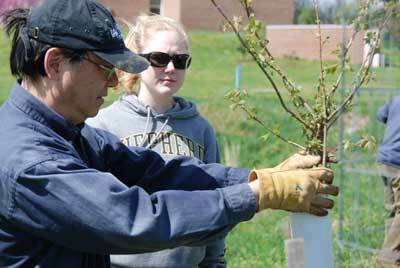 Shepherd Environmental Organization (SEO) was awarded 24 flowering trees to plant at Shepherd University. 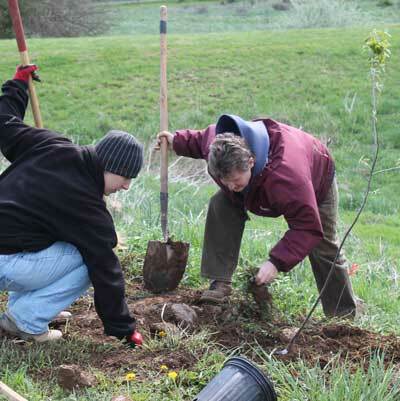 The tree planting was held on Saturday, April 20th, 2013 from 10am until 1pm (the event was scheduled until 2pm but we were able to finish early due to all of the wonderful volunteers who joined us). 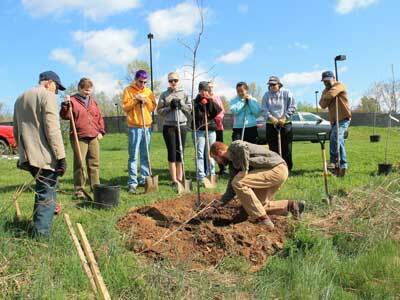 The morning was chilly but warmed up nicely around 11:30am. 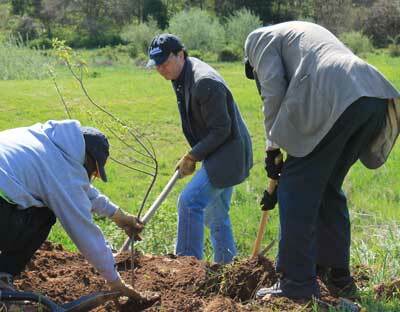 We had 26 volunteers come out to help plant trees. 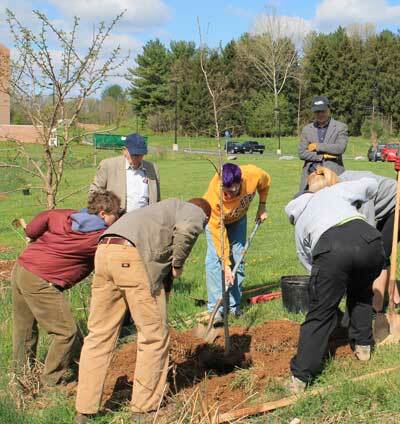 The volunteers were comprised of students from many different majors, biology and environmental professors, as well as some community members and a Shepherd staff member. 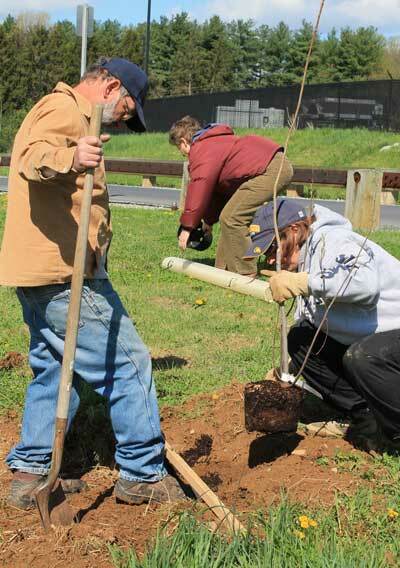 CTree Liaison Tanner Haid, Urban Forestry Coordinator for Cacapon Institute, assisted the Project Leader throughout the process. 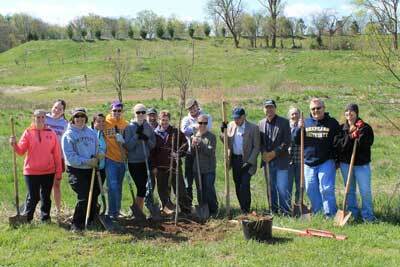 The 24 trees were planted on the west side of Shepherd University's campus. 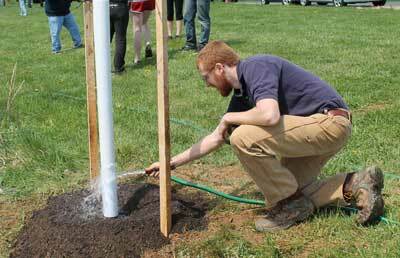 The location is near the apartments and a retention pond/wetlands area, which are off of Campus Drive road. 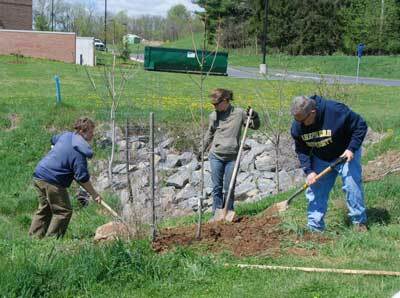 They were planted in a nice long line which boarders the retention pond. 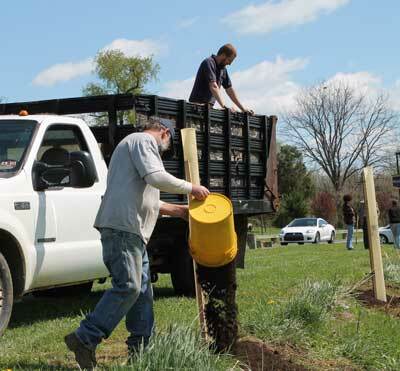 Prior to the planting, the grounds crew at Shepherd dug the tree holes with an auger as well as provided the volunteers with watering hoses and water. 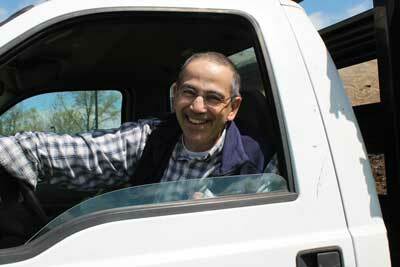 Jefferson County Solid Waste authority donated a load of mulch and donated a front loading truck.